Brrrrrrrrrrrrrrrrrrrr. 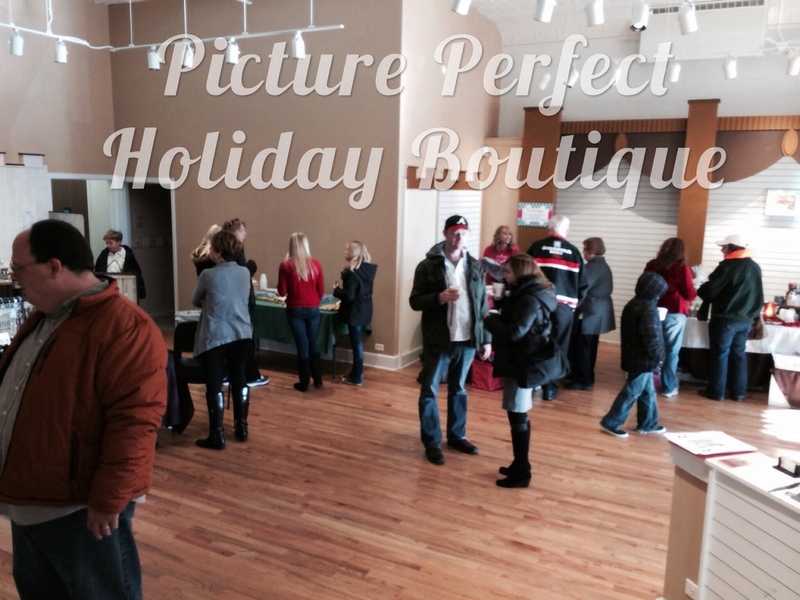 It was SO COLD outside, but we got to get up close and personal with BlueCopper Photography for the Picture Perfect Holiday Photo & Gift Boutique. The owner, Stephanie (shown below flashing the PEACE sign--Woodstock, eh? ), set-up her photo studio in the Back Room at Mixin Mingle. One-by-one, families entered the back room for their appointment to claim an UNBELIEVABLE deal on 5 digital photos for $25. Not a bad idea to convert the space into a photo studio, huh? Yes, those little cuties are twins. Many people also found great gifts in the shopping boutique organized by Michelle Rentschler with GirlzJust WannaHave FunEvents. If you haven't met Michelle yet, we want you to get to know her a little better. She hosts one-day-only retail shopping events that are open-to-the public approximately once a month at Mixin Mingle. These events feature local and independent representatives who offer products from well-known and newer brands, crafts from local makers, and products/services from area businesses. Her next endeavor will be held on the same night as Girls Night Out in Woodstock, IL (formerly called Ladies Night in Woodstock) on Thursday Dec. 5, 2013 from 5-10pm. All are welcome to attend, admission is FREE, and so is the fun. This is the one night a year where gobs of lovely women completely take over the Woodstock Square and enjoy fabulous deals from local businesses. Check out the Downtown Woodstock Collaboration community page on Facebook for this and many other great events in Woodstock.